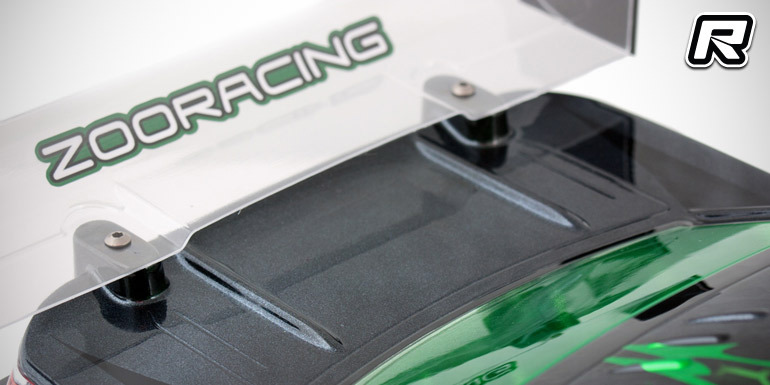 RC-KleinKram from Germany have announced their new ZooRacing performance body shell brand ZooRacing. 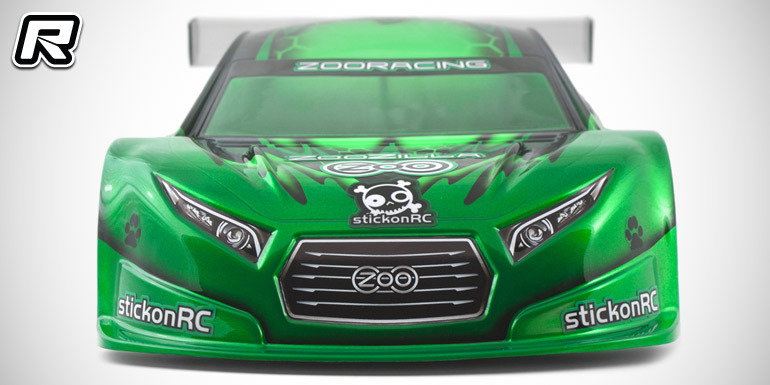 The first body to hit stores is the ZooZilla 190mm touring car body shell. Developed to produce medium overall downforce with lots of steering and great rear end stability the all-round body is the ideal choice for both carpet and outdoor tracks. The shell sports a couple of aero features such as a steep front end for on-the-point steering precision while the recessed roof section channels the airflow towards the rear wing for exceptional rear end stability at both low and high speeds. Angled vortex generators, placed strategically above the rear window, are a first-ever for an electric touring car body, and they help to smooth the airflow over the rear window, trunk and rear wing for greatly improved aerodynamic efficiency, lower drag and more predictable rear downforce. The body is outfitted with several trick anti-tuck features such as structured side skirts and a clever rear end design including reinforcement ribs on the trunk lid, all of which add to the overall aerodynamics and looks while greatly preventing body tucks without the need for additional reinforcements. Adding to the whole package is the recessed roof section that not only adds visual impact but also greatly improves overall stability – something that comes in handy especially when running the body in ultra lightweight configuration. Other hot features include large wheel arches that allow the body to be placed up to 4mm to the front for increased steering reaction or up to 4mm to the back for increased rear stability – making it 8mm in total. All this can be done without having to fear tyre rubs or unsightly cut out wheel wells. The body, designed using the latest CAD techniques also features a 100mm grid for the rear body mounts, ensuring highly precise body placement and mounting. 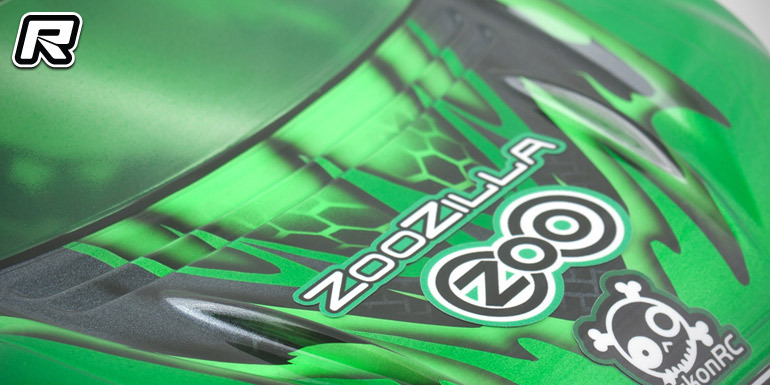 The ZooZilla 190mm body shell comes moulded from high-quality polycarbonate and it is available in two thicknesses: a lightweight 0.5mm variant that will weigh in at 55g cut and including wing while the standard thickness 0.7mm variant will come out at 83g cut and including wing – meaning the latter will easily make the new 90g ETS rule.